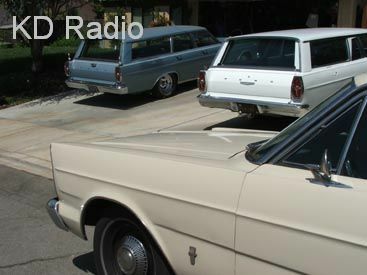 Pictured on this page are three 1965 Ford Country Sedan Station Wagons. The BLUE wagon was purchased new in 1965. Some, but not all of the modifications made by Steve (who worked as a mechanic for over 20 years) include a 440cid (bored 428cid engine), dual quads (Carter AFB), dual batteries, dual fuel tanks, factory cast iron headers, 4 speed top loader transmission, 4 wheel disc brakes, and a custom dash & gauges. 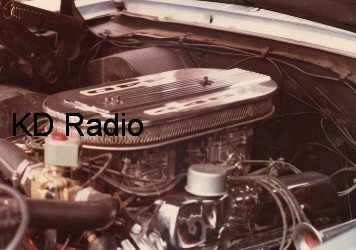 The front grill is from a 1966 Galixie. The large CID engine combined with a 2.5 gear ratio enable this vehicle to easily cruise over 100 mph and top out at 150 mph. It averages 15 mpg between 80 and 90 mph. This wagon is driven only on long trips. 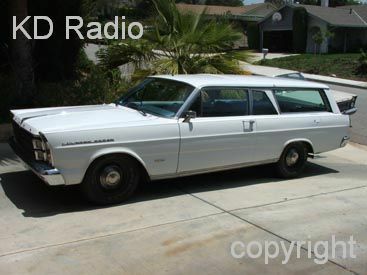 The WHITE wagon was purchased in the early 70s. 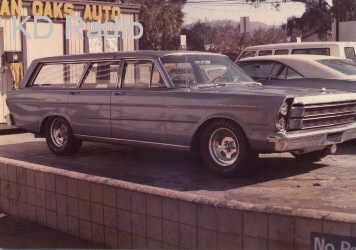 Some, but not all of the modifications made by Steve on this wagon include a 428cid engine, a highly modified Cruise-O-Matic transmission, dual batteries, dual fuel tanks, front disc brakes, and a front 1966 Galixie grill. The dash has a 140mph speedometer and an AM/FM radio. It easily cruises between 80 and 90 mph and tops out at 128mph. It gets between 13 and 14 mpg. This wagon is driven locally and on trips. The TAN wagon was purchased in the early 90s. Some, but not all of the modifications made by Steve on this wagon include a 300cid 6 cylinder engine and a highly modified C6 transmission coupled to a 2.5 rear end. It has dual batteries, one extra large fuel tank, and front disc brakes. 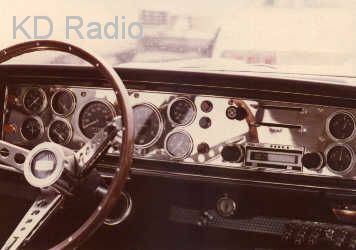 The dash is original except for the AM/FM cassette radio. Although slow from a stop, it will cruise at 80mph and top out at 100mph. It gets between 19 and 20mpg on regular gas. This wagon is the daily driver.. These pictures have been watermarked to help protect our copyright. If you see any of these pictures appear in "for sale" ads on Craigslist or anywhere else, its a SCAM. Please notify us and we will take corrective action. 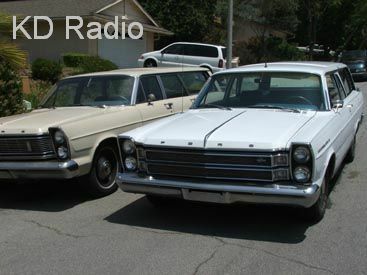 To reach us concerning these wagons, or phony "for sale" ads, click on OldiesMusicRadio.com and go to CONTACT US, fill out the form mentioning me (Steve), choose KD Radio California, and send it.